LIST: Who won't benefit from new tax reform law? MANILA - The government said the vast majority of income earners will benefit from the recently passed Tax Reform for Acceleration and Inclusion (TRAIN) law. However, while many salaried workers will enjoy a bump in their take home pay, self-employed workers, especially those in the informal sector, will feel no equivalent benefit since they pay no income taxes in the first place. According to the Philippine Statistics Authority, self-employed individuals are the second largest class of workers making up 27.9 percent of the total employed in October 2017. 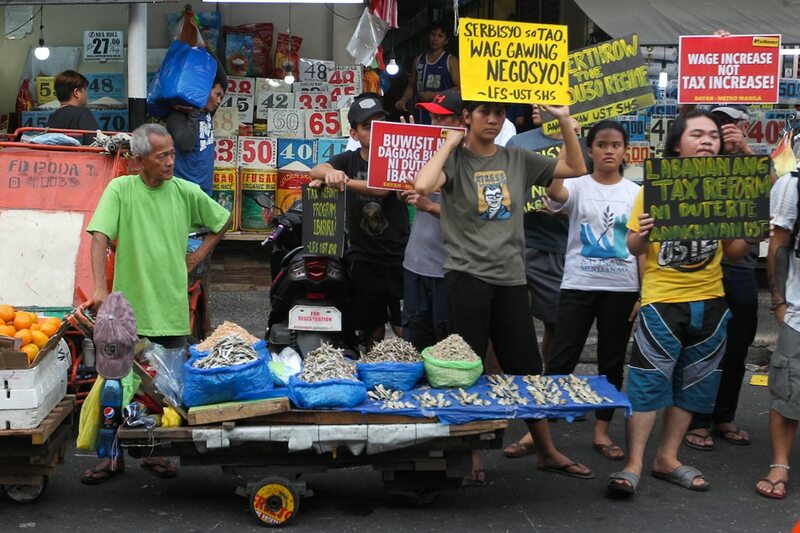 Aside from getting no increase in their income, members of the informal sector will also feel their incomes squeezed as TRAIN pushes up the prices of petroleum products, which in turn is expected to push up inflation. Tax specialist Mon Abrea, who has been an advocate of TRAIN, acknowledged that the tax reform measures will have a negative impact on workers in the informal sector. However, he said he expects this to be offset by the cash transfers and subsidies earmarked for the 10 million poorest households. "That's why we have social mitigation measures. Now if that's not enough, then we have to make sure that they step up di ba?" Abrea said. "Ano ba naman yung mag-appropriate sila ng additional budget for that?"